Sen. Hillary Clinton regularly bashes the mortgage industry, especially the management of Countrywide Financial Corp., the lender that has come to symbolize the housing crisis. She doesn't mention her presidential campaign's connections to the company. Seeking to become el grande in the growing U.S. Latin music market, Universal Music Group on Thursday said it had agreed to buy Univision Communications Inc.'s record division. Applebee's International Inc., the restaurant chain now owned by Ihop Corp., said Friday that it has won court approval to settle a shareholder lawsuit over the $1.9 billion acquisition. Northrop Grumman Corp. has been awarded a $40 billion contract to build the next generation of aerial refueling tankers for the Air Force, unexpectedly ending Boeing Co.'s long stranglehold on the market. For the second straight week, the Los Angeles Business Journal's index of the 200 largest public companies saw a slight dip, 0.31 percent, as 111 companies lost ground or stayed flat for the week. L.A. County lost 75,800 payroll jobs, raising January's unemployment rate to 5.7 percent and pushing the local economy to the brink of a recession. Entravision Communications Corp. reported late Thursday that it logged a fourth-quarter loss, that it agreed to sell its outdoor advertising unit and that it had appointed a new chief financial officer. Shares in biotech firm Amgen Inc. dropped more than 2 percent Thursday after an analyst cut his profit estimates for the company, saying use of Amgen's anemia drugs will be restricted. Ryan Seacrest is already a TV anchor and the morning-drive personality on a top L.A. radio station. If that's not enough, Seacrest will now be peddling ads for a national radio show. Tetra Tech Lands Wind-Powered Deal. A handful of local companies landed in top spots on the inaugural "California's Best Places to Work" list compiled by the Employers Group, a Los Angeles human relations consulting firm. It's the end of the line for New Line. The 40-year-old studio will become a significantly smaller version of itself and merge into the Warner Brothers unit of Time Warner's Warner Bros.
A federal appeals court Wednesday rejected a state regulation that reduced emissions from ships, dealing a blow to attempts to combat one of the major sources of smog-forming pollution in the L.A. region. Despite posting a quarterly loss, shares in causal dining chain operator Ihop Corp. shot up nearly 13 percent early Wednesday after the company said it expects strong sales in 2008. Herbalife Ltd. said late Tuesday that its fourth-quarter profit jumped thanks to double-digit sales growth in several of the company's largest markets. Los Angeles faces a grim 2008 with no indication the local economy will pick up until late next year, a group of economists told Mayor Antonio Villaraigosa and political and civic business leaders Tuesday. Shares of Amgen and Johnson & Johnson took a hit Wednesday after a study showed their anti-anemia drugs increase the risk of blood clots and death in cancer patients. But the companies say it's old news. Shares in Cogent Systems Inc. closed up 23 percent Wednesday after the company reported a dip in fourth quarter profit that still beat Wall Street's expectations. John Visconti says he was thinking of his son's future when he bought him a $220,000 Aston Martin for his birthday -- no matter that the little guy was 3 years old. THQ Inc. said Wednesday that the U.S. Securities and Exchange Commission will not recommend any action against the video-game publisher related to its stock options probe. Edison International said fourth-quarter profit fell 27 percent, although the previous year's earnings were swollen from one-time gains. Shares in K-Swiss Inc. tanked early Tuesday after the shoe retailer posted a 94 percent drop in fourth quarter profit and warned investors that first quarter sales were expected to decline as well. Top Pentagon officials ended a meeting on the U.S. Air Force's plan to buy 179 new refueling aircraft late on Monday afternoon, with defense officials saying an announcement of the winner was unlikely before Tuesday. Shares in Ducommun Inc. closed up 23 percent Tuesday, prompting an inquiry from the New York Stock Exchange into the reason for the activity. The aerospace company said it has a policy of not commenting on unusual market activity. DreamWorks Animation SKG Inc. swung to a fourth quarter profit thanks to strong sales of its "Shrek the Third" animated film. New figures from the California Association of Realtors confirm that home sales in Los Angeles County declined in January, with the median price and sales retreating by double digits. Mercury General Corp., the auto insurer majority-owned by two elderly shareholders, is a likely takeover target because of its 9.7 percent market share in California, a Credit Suisse Group analyst said. With ratification of a hard-fought contract imminent, the Writers Guild of America has shifted its fight with movie and television studios to a new front: the state Legislature. RadNet Inc. said Tuesday that it has acquired the assets of six Los Angeles-area imaging centers from InSight Health Corp. of Lake Forest for $8.5 million in cash. DreamWorks Animation SKG returned to a profit in the fourth quarter on strong home video sales of "Shrek the Third" and the absence of the year earlier's big write-down. American Home Mortgage Investment Corp. said that it has settled a dispute with IndyMac Bancorp Inc. that arose after IndyMac last summer agreed to take over 98 offices and pay American Home $2 million. Federal regulators gave the green light to a deal in which News Corp. will hand over controlling interest in DirecTV Group Inc. to Liberty Media Corp., paving the way for the deal to close as early as today. Apartments are big in the Central City West neighborhood as employees look to live closer to work. Last week Page 3 reported on the travails of K-Fed Bancorp, the holding company for Kaiser Federal Bank that is considering changing its name because of an unfortunate similarity with a well-known Hollywood ex. Dial-up service United Online continues to ring up serious earnings even as broadband connections and Wi-Fi become more ubiquitous. Project Labor Agreements should be rejected by city agencies, writes Kevin D. Korenthal, as all they do is empower labor and boost costs. However, Dain Parry writes that PLAs are good and streamline the project approval process. TBWA\Chiat\Day has joined with 13 other ad agencies across the country to promote Unicef's Tap Project, a drive to provide clean water to children worldwide. As far as the studios were concerned, it really was an honor just to be nominated - though the Walt Disney Co.'s Miramax division might feel differently now. Daniel Khakshouri's Pacific Realty Ventures is keeping its condo conversions going in a down market by relying on low-cost, in-house crews. Midwesterner Gary Toebben, Los Angeles Area Chamber of Commerce CEO, has found the local business community a challenge to organize. OPI Products Inc. is reviving its Nicole nail polish and selling it in department stores across the U.S. and Canada with a major print ad campaign. The Long Beach Port's decision not to ban independent drivers as part of its clean-air program has some trucking companies breathing a little easier. REITs HCP and Alexandria Real Estate Equities have remained vigorous with their medical property holdings. Boeing Co. executives are holding out hope that the C-17 Globemaster assembly line in Long Beach will be going through late 2011. The cheers at Staples Center for recently acquired Los Angeles Lakers player Pau Gasol rivaled those received last year by a different European import to Los Angeles: The Galaxy's soccer star David Beckham. A rough earnings report from veterinary chain VCA Antech had investors howling last week. Warner Digital Music Head Leaves; Superior Industries names new CFO. Area bagel shops are coping with the steep rise in the cost of wheat by eating the difference and keeping prices steady at least for now. It's the quintessential case of drawing the short stick. Reeling from an aborted merger, distributor Image Entertainment is looking to boost its industry profile by acquiring theatrical titles and streaming films over the Internet. While county supervisor candidates Bernard Parks and Mark Ridley-Thomas are generally labeled pro-business and pro-labor, respectively, their stances are not that cut and dried. Charles Crumpley notes that by loaning, rather than giving, his art to LACMA, Eli Broad spares the museum hefty costs. The weather forecast may call for snow and good skiing conditions in Avon, Colo., but no one at the luxury resort, is there on Countrywide's dime this week. A large oceanfront apartment building in Redondo Beach has been put up for sale. The building, called the Waterfront, could be sold for as much as $80.5 million. Northrop Grumman Corp., the nation's largest shipbuilder, has been awarded a $1.4 billion Pentagon contract to begin construction on DDG-1000 Zumwalt-class destroyers commissioned by the U.S. Navy. For more than 80 years, the neon sign on the roof of the historic Westlake Theater in Los Angeles' MacArthur Park neighborhood has stood in place, unfazed by the passing years. Investment firms are stepping in to provide business funding as acquiring traditional bank loans becomes more costly and time-consuming. Rough-and-tumble tactics are common in popular videogames like Electronic Arts Inc.'s Madden NFL. Now the company has launched a blitz against one of its top competitors. Higher sales of commercial aerospace products helped Ducommun Inc. report a 27-percent hike in fourth-quarter net income. An area filmmaker has parlayed his YouTube spoof of hit movie "300" into a low-budget, full-length film. When she was an Ohio high school teacher working in a town surrounded by cornfields, Lori L. Payne couldn't have predicted she would one day look out her office window and see L.A. stretching out beneath her. Shares in On Assignment Inc. surged more than 6 percent early Friday after the staffing firm reported a plunge in fourth quarter earnings but issued strong first-quarter guidance. If home prices are plunging, then why are rents going up? That's a question Lynn Washington wants answered. The Federal Communications Commission is set to back Liberty Media Corp.'s purchase of a controlling stake in DirecTV Group Inc., unnamed sources said. Internet Brands Inc. said Thursday that it has acquired nine automotive and leisure Web sites. Financial terms were not disclosed. After eking out a small gain last week, the Los Angeles Business Journal's index of the 200 largest public companies dipped slightly this week, losing 0.38 percent. In all, 120 of the companies lost ground or stayed flat. A breast cancer patient whose medical coverage was canceled by her insurer was awarded more than $9 million today in a case against Health Net Inc., one of the state's largest for-profit insurers. The nation's largest lending institutions are lobbying hard to block a proposal in Congress that would give bankruptcy judges greater latitude to rewrite mortgages held by financially strapped homeowners. Hoping to end persistent rumors that Six Flags California will close and be replaced by more of the housing tracts that climb Valencia's hillsides, top brass talked Thursday about expansion plans for 2008. Talent and literary agency the William Morris Agency Inc. of Beverly Hills has put its current headquarters property up for sale and hired a team of real estate brokers to market the site. Reliance Steel & Aluminum Co. said Thursday that its profit was up in the fourth quarter on higher sales volume thanks mainly to acquisitions but the company said future sales are uncertain because of the slowing economy. Shares in toy maker Jakks Pacific Inc. continued to gain early Thursday, adding nearly 4 percent, after the stock was upgraded by Wedbush Morgan Securities. A lawsuit filed Wednesday accuses Health Net Inc. of engaging in a secret and illegal scheme to drop patients if they needed expensive treatment. The L.A. Community Redevelopment Agency has endorsed a proposal to require developers and contractors on all major redevelopment projects to hire workers through local union hiring halls. For Reed Elsevier selling its business information arm could take some time. Northrop Grumman Corp. said Thursday that it has renewed an IT contract to provide services to the Illinois Department of Human Services for another five years. The deal is worth $64 million. The state's bleak financial outlook continues to worsen as it now faces a $16 billion deficit. Los Angeles County should escape a recession in 2008 and 2009, according to a forecast to be released this morning from the Los Angeles County Economic Development Corp. The Directors Guild of America ratified a new three-year labor agreement with television and film production companies. Shares in toy maker Jakks Pacific Inc. got a boost Wednesday after the company reported a surge in fourth-quarter profit thanks to strong sales of Disney toys, action figures and video games. California plans to spend up to $5.6 million in grant money from the U.S. government to retrain mortgage industry workers who lost their jobs in the wake of the subprime lending meltdown, Gov. Arnold Schwarzenegger said on Wednesday. The Port of Long Beach Tuesday evening unanimously approved a $2.2 billion truck replacement program that will allow truckers to remain independent owner operators. Preferred Bank Names New Credit Officer. Social networking site MySpace.com has talked to several record labels about starting an online service where users can listen to music for free. Gov. Arnold Schwarzenegger on Tuesday ordered additional cuts across the state bureaucracy that will slow down state hiring and nonessential service contracts a move he said could save the cash-strapped state $100 million by June 30. Contrarian investor Sam Zell rarely bets on an easy turnaround. That's good, because his $12.7 billion buyout of Tribune Co. (TRB) could be messier than even he expected. Revver Inc., which operates an online video site that struggled to compete with YouTube, has been sold to online-entertainment network LiveUniverse for less than $5 million, according to reports Tuesday. To protect his identity and frustrate possible retaliation, the undercover investigator behind the biggest beef recall in U.S. history refuses to disclose any information about himself. But we do know that he's a vegan, the Los Angeles Times reports. The African nation of Libya signed final accords Tuesday granting exploration and production rights to Occidental Petroleum Corp, as well as Royal Dutch Shell Plc, Libya's state-run National Oil Corp. said. Shares in drink maker Hansen Natural Corp. gained nearly 6 percent Tuesday after shares in the company were upgraded by a JPMorgan analyst. CB Richard Ellis Group Inc. said Tuesday that it has purchased its Danish affiliate, Cedarholm A/S, for $43 million in cash. Walt Disney Co. has formed a team to focus on publishing games, virtual destinations and social networks based on its TV shows, films and cartoons. The Business Journal homes in on 22 major players in local Web 2.0 financing: venture capitalists, angels, entrepreneurs and influencers/enablers. 2007 saw a big surge in venture capital for local Web 2.0 businesses, boosting Los Angeles' stature in the modern tech market. More widely spaced runways at LAX is not going to help improve airport safety, writes Denny Schneider. Restaurateur Joachim Splichal serves as both celebrity chef and businessman at his Patina Restaurant Group. Walt Disney Co. said Monday it has reached a deal that will more than double its stake in Indian TV and movie content maker UTV Software Communication. Toyshop Munky King deals in "urban vinyl," collectibles that are part art, part action figure. Atomic Online has been rapidly expanding its e-publishing empire, picking up an average of three Web sites a month. Toshiba Corp. may pull the plug on its high-definition DVD format, the Japanese electronics maker said. A provision that would encourage the unionization of drivers could jeopardize the ports' entire clean-truck program. Charles Crumpley wonders where IndyMac will find all those prime loans on which it is basing its new business plan. Also, is a recession really here? The popularity of Japan's cuisine has local sushi restaurateurs paying a premium for Japanese chefs. Reeling from a tough fourth quarter, mortgage lender IndyMac is finding little enthusiasm for a business plan that will steer it away from Alt-A loans. Jacobs Engineering stock soared in 2007, but an industry slowdown and concerns about the general economy have sent shares sliding this year. Two of the largest U.S. toy companies, Toys "R" Us Inc. and Mattel Inc., said they will phase out nickel-cadmium batteries, a technology associated with widespread environmental contamination and health problems in China. Sports have been a big part of Brandon Raphael's life ever since he can remember, and he is building a career on his passion. At a time when many of its larger California competitors are dealing with financial and legal problems, Health Net is proving the value of remaining small and independent. According to Amelia Xann, the Sarbanes-Oxley Act of 2002 provided transparency that has made it easier and safer to invest in non-profits. Phones have been ringing off the hook at Juice Wireless. How tough is it to get an experimental breast cancer treatment through the U.S. regulatory approval gauntlet? An undercover video showing crippled and sick animals being shoved with forklifts has led to the largest beef recall in the United States and a scramble to find out if any of the meat is still destined for school children's lunches. Maguire Aviation, a fixed-base operator at Van Nuys Airport, is primed to get considerably bigger. GoLive2 has put together a new high-tech playing experience for kids: robot-themed figurines that function like hand-held video games. Aecom Technology has boosted its profile with a trio of deals, including the $510 million purchase of a Long Beach wastewater treatment business. The Business Journal hones in on 22 major players in local Web 2.0 financing: venture capitalists, angels, entrepreneurs and influencers/enablers. Employers are cheering the release earlier this month of proposed changes to the nation's 15-year-old Family and Medical Leave Act. Russ Stanton, a 10-year veteran of the Los Angeles Times who has been in charge of invigorating its website, on Thursday became the newspaper's 14th editor. The Port of Long Beach has dropped a requirement that would have required short-haul truck drivers to become motor carrier employees as part of its clean air program. Shares in California Pizza Kitchen Inc. gained nearly 4 percent in early trading Friday after the company reported solid fourth quarter earnings boosted by strong same-store sales. Cheesecake Factory Inc. said late Thursday that it has approved a 10 million share increase in its stock repurchase authorization. Live Nation said Friday that it has agreed to acquire a 65 percent stake in Mirage Promotions, a leading live event promoter based in Dubai. Gemstar-TV Guide International Inc., which is set to be acquired by Macrovision Corp., swung to a fourth-quarter loss as a series of charges cut into profits. U.S. import prices soared last month on higher energy, food and commodity prices, pushing the annual increase to a record high, the Labor Department reported Friday. After two straight weeks of declines, the Los Angeles Business Journal's index of the 200 largest public companies finished up, albeit a mere 0.5 percent. Only 88 companies gained ground. Countrywide Financial Corp. said Friday that overdue loans reached 7.5 percent in January, showing the real estate slump is far from over. Millions of Disneyland visitors will soon get to retrace the thoughts of others who lined up a half-century ago to see a home packed with mind-blowing gadgets expected in the future. Macrovision Corp. said Thursday that it has agreed to sell its software business for $200 million in an effort to help fund its buyout of Los Angeles-based Gemstar-TV Guide International Inc. It is a common medical puzzler. The benefits statement arrives from the insurance company, saying that although the doctor has charged, say, $200 for that recent office visit, only $80 is covered , and the consumer is obliged to pick up the balance. Shares in Youbet.com Inc. plunged nearly 9 percent early Thursday after the company said it is closing down its troubled offshore telephone wagering entity International Racing Group by Feb. 15. ValueClick Inc. reported strong fourth-quarter results Wednesday and said it has settled a dispute with the Federal Trade Commission. Low interest rates, falling prices and promises of government relief were not enough to slow the pace of Southern California's housing downturn, which hit a new bottom last month. Hanmi Financial Corp. reported a fourth quarter loss due to a decline in its stock price and increased provision for loan losses. Overhill Farms Inc. said Wednesday that it has rejected a proposal submitted by GESD Capital Partners and Citicorp Venture Capital to acquire the company's stock for $4.40 per share. DaVita Inc. said Wednesday afternoon that fourth-quarter profit rose, thanks in large part to an increase in patients it treated. Homes Near the Hollywood Sign? A Chicago investment group said Tuesday that Los Angeles officials had failed to come up with the cash to preserve the mountaintop next to the iconic sign, so it has put the ridge up for sale. Shares in shoemaker Skechers USA Inc. surged Wednesday when the company provided a strong outlook, even though it reported declines in fourth-quarter net income and sales. Mattel Inc. and Jakks Pacific Inc. each announced deals to make wrestling action figures Wednesday. Tribune Co. has announced it will cut between 100 and 150 jobs at its Los Angeles Times newspaper operation. DirecTV Group Inc. reported strong fourth quarter earnings Wednesday highlighted by strong subscriber growth and the lowest rate of U.S. customer defections in eight years. Diodes Inc. reported that fourth-quarter profit rose in part to increased margins. "The strike is over," Patric Verrone said, dispassionately but with the hint of a smile. "Our membership has voted. Writers can go back to work." A day after announcing the purchase of a Newport Beach firm, Aecom Technology Corp. said Tuesday that it has agreed to acquire a unit of Tyco International Ltd. for $510 million. As showrunners flip on the lights and scribes once again occupy long-abandoned writers' rooms, network and studio execs are still figuring out what lives, what dies -- and when it all comes back. In a sign that the financial media market is retrenching, Worth magazine has been sold by current owner CurtCo Media to Sandow Media, the Boca Raton, Fla.-based owner of New Beauty Magazine, for an undisclosed price. Legg Mason Capital Management raised its stake in Countrywide Financial Corp., the biggest U.S. mortgage lender, to 15 percent and said it hasn't decided whether to vote for Bank of America Corp.'s $4 billion takeover. Shares in live venue operator and concert promoter Live Nation Inc. rose more than 5 percent early Tuesday after a Goldman Sachs Group Inc. analyst recommended buying the stock. Low-cost airline JetBlue Airways announced Tuesday it will begin passenger service out of Los Angeles International Airport in May. Macerich Co. said Tuesday that its earnings and fourth-quarter funds from operations were up thanks in part to higher rent and tenant recoveries. Struggling lender IndyMac Bancorp. reported its first-ever annual loss and scrapped its dividend in an effort to shore up capital. First one former sales representative, then another from drugmaker Amgen Inc. claimed they were fired or forced out for refusing to go along with unethical, even illegal practices to boost sales of the costly drug Enbrel to psoriasis patients. Image Entertainment Inc. sued a group led by film producer David Bergstein for the payment of a $4.2 million breakup fee after the nixed merger agreement between the DVD licenser and the buyout group. Their smoothies runneth over: Robeks Corp. has opened five stores since the beginning of the year, with four of them in the L.A. area. Investors are getting antsy as 99 Cents Stores' long-awaited rebound is failing to materialize. Shares in discount retailer 99 Cents Only Stores closed up nearly 6 percent and continued to gain in after market trading Monday after the company reported a rise in third quarter profit due to increased margins. Business Persons of the Year honorees Andrew and Peggy Cherng credit the Panda Restaurant Group chain's success in part to their husband-and-wife management style. Alan Auerbach, Cougar Biotechnology chief executive, would be hitting the beach and riding the waves if he didn't love working even more. The outlook for L.A. medical marijuana dispensaries remains hazy as they are targeted by an increasingly aggressive DEA and upcoming regulations. For many Angelenos, the idea of moving to Palmdale might be hard to sell. Napster Upgraded after third quarter earnings report. Visist Disney's California Adventure , a 55-acre theme park next door to the fabled progenitor of the modern amusement Mecca, Disneyland , and you will find a noisy reminder of what happens when a company loses its focus and cuts corners. Teleflora, an online flower shop, has a special delivery for Mothers' Day: a reality TV special titled "America's Favorite Mom." Cutbacks at papers like the Los Angeles Times impact the quality of coverage, which in turn saps the vitality of a community, writes Tim Gallagher. The Grand Avenue Executive Center in El Segundo has changed hands for about $39.5 million, with Karl Storz Endoscopy-America Inc. picking up the Class A office property in a deal that closed at the end of December. Los Angeles Port terminal operator TraPac is losing its last two customers while its once-heralded green-friendly expansion plan continues to be held up by environmental activists. Steve Wozniak, PC pioneer and co-founder of Apple, has joined the board of little En2go of Studio City. CytRx Corp. said Monday that the Food and Drug Administration wants more data from an early animal toxicology study before the company's human clinical trial of a drug for Lou Gehrig's disease can resume. Aecom Technology Corp. said Monday that it has agreed to acquire Newport Beach-based water systems engineering firm Boyle Engineering for an undisclosed sum. State lawmakers have no time to waste in addressing California's water crisis, according to Ruben Guerra. 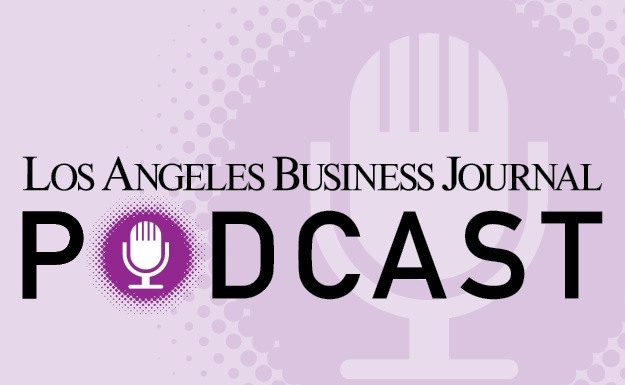 The Business Journal occasionally checks in with L.A. executives and asks them to describe their day. This week, Mara Schwartz, senior director of creative services, film, television and new media for Bug Music/Windswept, discusses her routine. Louis Giraudo's resignation last week as a director of Overhill Farms Inc. revealed a heated behind-the-scenes competition to acquire the company. California is headed for recession as a steep drop in construction spending continues to take its toll, according to an economic report released Monday. Mercury General Corp. reported that fourth quarter profit fell 11 percent mainly due to the claims stemming from devastating wildfires late last year. Charles Crumpley feels that Microsoft's bid for Yahoo is proof that the formerly innovative trailblazer has lost its way and has been forced to play catch-up. Boeing has laid off 70 C-17 production workers in a cost-cutting move it says was needed to provide maximum "value" to customers. A Santa Monica investment firm's plans to buy the National Hot Rod Association have crashed and burned. What could a Microsoft takeover of Yahoo Inc. mean for L.A.? In January, the median home price in Los Angeles County dropped below $500,000 for the first time in more than two and half years. Forgiato Designs makes custom wheels for the high-end car market, with a set of four running up to $12,000. Los Angeles County Economic Development Corp. Chief Economist Jack Kyser is accustomed to seeing his name in print. The quote-worthy Kyser often appears in the pages of local newspapers, expounding on and analyzing local business matters. Countrywide Financial Corp. said Monday that it will expand its existing programs to help borrowers with subprime loans who are struggling. Let's not kid ourselves. This town is so desperate to get back to work it's like that girl auditioning on "American Idol" last week, who would have gladly given Simon Cowell her dog if he'd just put her through to Hollywood. Activision Inc. said Thursday it had rocked into the No. 1 position in video game sales in North America last year, becoming the first company to unseat Electronic Arts Inc.
After two weeks of solid gains, the Los Angeles Business Journal's index of the 200 largest public companies was hit hard this week, dropping 5.8 percent with 146 of the companies losing ground or staying flat. As home prices soared higher earlier this decade, the buying frenzy was fueled in part by what real estate industry experts now claim were exaggerated -- or outright fraudulent -- appraisals. UTi Worldwide Inc. said Friday that it will be cutting 7 percent of its workforce in a cost-cutting effort and also lowered its fiscal 2008 forecast due to slower-than-expected sales. Strong sales of the latest Guitar Hero video game boosted earnings at Activision Inc., prompting the company to raise its earnings' forecast for the year. United Online Inc. reported growth in fourth quarter profits thanks in large part to a surge in membership at its Classmates.com Web site. Shares in PC Mall Inc. shot up nearly 20 percent Thursday after the company reported that fourth-quarter profit nearly tripled on record sales. Labor officials representing more than 5,500 local aerospace workers expressed "cautious optimism" about the future of the Boeing C-17 program after meeting with members of Congress. Overhill Farms Inc. reported a slight gain in profit Thursday on record quarterly sales, one day after it announced a venture fund was considering acquiring the frozen food maker. After four years of debate, the Los Angeles City Council approved Wednesday an ordinance that would allow developers to build taller, larger buildings if they include units for lower-income residents. Representatives of both sides in the effort to keep USC playing football in the Coliseum expressed optimism Tuesday that an agreement could be reached as early as next week. Shares in Overhill Farms Inc. soared nearly 50 percent Wednesday after the maker of prepared food products said a venture capital fund expressed interest in buying the company. International Rectifier Corp. said Thursday that it has elected Oleg Khaykin as president and chief executive effective March 1. Shares in casual dining chain Cheesecake Factory Inc. dipped nearly 8 percent early Wednesday after the company reported that fourth-quarter earnings fell, forcing the chain to scale back its planned restaurant openings for the year. Shares in teen clothing retailer Hot Topic Inc. got a 10 percent boost after the company reported a decline in January same-store sales that was less than expected. Shares in downtown's largest landlord, Maguire Properties Inc., dropped nearly 6 percent early Wednesday after the company reported a wider fourth-quarter loss late Tuesday. Hurt by a sluggish sales of its marquee videogame titles, videogame developer THQ Inc. late Tuesday reported a 75 percent plunge in fiscal third-quarter profit. Image Entertainment Inc. said late Tuesday that it has terminated the proposed takeover agreement it had with BTP Acquisition Co, saying BTP was unable or unwilling to secure financing for the transaction. The Natural Resources Defense Council issued an ultimatum Wednesday to the Port of Long Beach demanding it halt all expansion projects and reduce air pollution in 90 days or face a federal lawsuit. WGA leaders have scheduled a bicoastal powwow on Saturday, with membership meetings in Gotham and L.A. designed to sell the new contract agreement to the WGA's rank-and-file and end the 3-month-old strike. A major investor in discount retailer 99 Cents Only Inc. has criticized the company's current strategy and asked for additional details regarding the chain's turnaround plan, according to a regulatory filing on Monday. Plans for the former Boeing Co. land north of Long Beach Airport originally called for an ambitious development that mixed office, retail and housing. National Lampoon Inc. said Tuesday morning that it has acquired Web site Rivalfish.com, a sports-oriented Web site covering college teams, for an undisclosed sum. Shares in Computer Sciences Corp. shot up nearly 8 percent Tuesday after the information technology services provider announced third quarter earnings that topped Wall Street's estimates. As the lawyers work overtime to hammer out the details, scenarios are emerging that could -- underline could -- bring an end to the WGA strike as early as next week. Century Boulevard hotels near Los Angeles International Airport appealed the city's expanded living wage ordinance Tuesday to the California State Supreme Court, according to the hotels. Jacobs Engineering Group Inc. said Tuesday that it has been awarded a contract to assist in managing the $240 million Sequoia Hospital expansion in Redwood City. Shares in Walt Disney Co. rebounded Tuesday after the entertainment giant reported lower first-quarter profit due to gains from sales of media properties last year, but still beat analysts' expectations. Fremont General Corp. announced Monday that the company had moved its executive offices from Santa Monica to Orange County. CEO Michael Perry said mortgage lender IndyMac was resilient, and shortly thereafter the company's stock surged. Danny Bakewell complements his civic activism with business pursuits that include real estate and media holdings. Promoter Streetwise takes a low-tech approach, deploying an army of kids to events and stores to push products such as movies and video games. Image Metrics can quickly convert video images of actors into 3-D models, speeding up animated movie production. Joachim Splichal has served up a fine addition for the Patina Group with his new seafood restaurant Paperfish. The city's decision to preserve industrial space threatens the spread of much-needed mixed-use development downtown, says Carol Schatz. Chad Therapeutics Inc. moved one step closer last week to exiting the pulmonary oxygen business that made its name. Canceling some highly anticipated titles has contributed to THQ's share decline, but analysts foresee a healthy future for the company. The new Los Angeles County Business Federation may have a tough time marshalling its members into action, but the new organization is built right, writes Charles Crumpley. Like Hollywood stars stuck in a rut, Barry Diller and John Malone are always cast in the same contrasting roles. But a battle royal shaping up over the future of IAC/Interactive is not about their differences, despite the juicy material this provides. Owners and operators of big rig trucks, tractors and other heavy-duty vehicles would have to take steps to reduce fuel-consuming drag under a greenhouse gas reduction proposal being mulled by state regulators. Turnaround veteran Doug Lane has an emotional as well as financial stake in Genesis Bioventures, which holds the rights to an unusual breast cancer test and treatment. Non-union contractors are getting short on options as Los Angeles increasingly uses union-sponsored labor agreements on public works projects. Mitchell Katz oversees Pacific Park eateries. Amgen Inc. said on Monday that will sell its Japanese unit to Takeda Pharmaceutical, Japan's largest drugmaker, in a deal that could eventually total $902 million. When a small-shop Internet consulting company recently forayed into the software business, it didn't have to worry about marketing its new product. The first client was already in the bag: USC. Owners of local tanning chain Sunset Tan, the focus of an E Channel reality show, are banking on the buzz to launch a nationwide franchise. In its effort to penetrate the potentially lucrative fleet market, Enova Systems Inc. has delivered two vehicles retrofitted with alternative fuel systems to one of the country's largest fleet operators. The furniture business is sliding into the same straits as the housing sector, as cash-strapped homeowners are in no position to decorate. Video game publisher THQ Inc. on Monday named Colin Slade as chief financial officer and executive vice president, effective Feb. 29. CSC's relocation to Virginia is seen as the result of the CEO reins passing to Mike Laphen, a native of the Old Dominion State. Hollywood writers and studios may be close to reaching a labor agreement and bringing an end to the three-month strike that has put more than 11,000 people out of work. While downtown's transformation was long overdue, Bill Allen and colleagues are concerned about the negative long-term economic consequences of the entire city's dwindling industrial land base. Aerospace electronics contractor Teledyne Technologies Inc. announced another acquisition Monday and closed the purchase of an earlier one. Both Microsoft and Yahoo! need the sort of jolt a megamerger could provide, albeit for different reasons. Walt Disney Co.'s board of directors have extended by five years the entertainment company's contracts with Chief Executive Robert Iger and Chief Financial Officer Tom Staggs. A two-acre redevelopment site in downtown has changed hands for $18.5 million. LATV has picked up East Coast-based American Latino TV with the hopes of going national with Latin culture-focused, English-language programming. Financing issues with the Grand Avenue and Park Fifth projects have developers wondering about the vitality of downtown. Shares in Ameron International Corp. gained more than 13 percent early Friday after the company reported record annual earnings. After three straight weeks of big losses to start out the year, the Los Angeles Business Journal's index of the 200 largest public companies had its second-straight week of gains. Zenith National Insurance Corp. reported fourth-quarter earnings Thursday well below Wall Street's expectations, causing shares to close down about 6 percent. Less than a month after Axium International Inc. collapsed, the Hollywood payroll services company's remaining assets were sold at auction Thursday for $7.05 million to Entertainment Partners, one of its former competitors. Shares in Walt Disney Co. rose nearly 3 percent early Friday after the entertainment giant was upgraded by Oppenheimer & Co., which said Disney's fiscal first-quarter results will be better than expected. Microsoft Corp. has pounced on slumping Internet icon Yahoo Inc. with an unsolicited takeover offer of $44.6 billion in its boldest bid yet to challenge Google Inc.'s dominance of the lucrative online search and advertising markets. Representatives from Riverside and Orange counties disliked agenda of Southern California Regional Airport Authority.